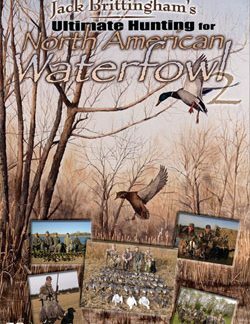 Join Jack Brittingham and friends as they begin the Waterfowl season in Canada for heart stopping action on Canada Geese, Mallards and Pintails. The hunters then move south in pursuit of lesser Canada Geese, Mallards, Widgeon and a variety of other ducks in Oklahoma and Texas. Be prepared for non-stop action during these high volume shoots in each of these locations. 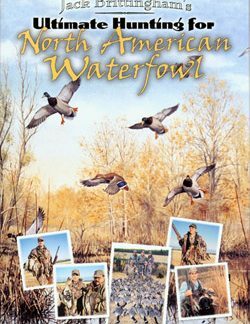 Over forty hours of raw tape was shot to produce ninety minutes of Waterfowl magic across North America. 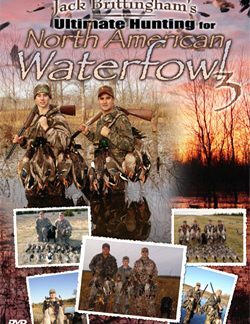 You will be thrilled by the variety of settings, volume of ducks and geese, good dog work and fast paced action that is the hallmark of a Briar Lakes Productions Waterfowl adventure. As a bonus this year, we will be giving away a free Waterfowl Hunt. Details inside box.